I have been on an intense quest to live a healthier life for more than a decade. This passion to obtain whole body wellness began during the struggle to conceive our first child. This is when I started to realize the power of good nutrition and exercise - but it wasn’t until I was slammed with the devastating news of having breast cancer in my early 30’s that I realized nutrition and exercise weren’t enough. I was missing a huge part of what makes us healthy and it has so much to do with our thoughts, feelings, and viewpoints on life. I started to pay attention to my thoughts and motivations and realized that I was holding on to ugly, negative baggage, not honoring my truth and running my life based on fear… all the kale in the world wasn’t going to be able to help me. This is when I was introduced to EFT and it was perfect timing. For the first time in my life, I was actually able to let go and release this negativity that had been weighing me down. Prior to EFT, I was always complaining about my baggage and feeling consumed by it, even though I desperately wanted to shed it - I just couldn’t. Yet, once I had put some time and effort into tapping, I was able to release it in a way that felt unreal to me at the time. It was so quick! The shifts in how I felt and the perspective that I gained was completely different than anything else I had experienced. I no longer felt consumed by my past. Those experiences didn't define me any longer, and they no longer had power over me. I also found that being present in my life took much less effort. I began to have more fun, and really enjoy life! I was also able to take the reins and make purposeful life decisions in order to better suit my family and my long terms goals. And I was able to do all of this because of EFT. Now, I am so passionate about EFT that I want to share it with everyone I know. I completed my certification and I love working with clients in person, via skype and over the phone. My client focus is women who want to release and move past the thoughts and beliefs that are keeping them small. Every woman that I have worked with, no matter how successful they are, is feeling limited in some way. Afraid to be their true selves, afraid of offending someone, afraid to be noticed, afraid they won’t be liked… afraid, afraid, afraid. The other common thread among us women is not feeling worthy, valuable, or good enough to "just" be ourselves. We are taught in our culture to not step on anyone’s toes, to be sweet, don’t be too loud, and don’t be too dynamic. Well, it is time to stop following the rules. It is time to be your true authentic self, guilt-free and without feeling the need to apologize! It is time to shed the limiting beliefs we have about ourselves. It is time to let the fear go. It is time to play big. It is time to be free! You can achieve that freedom to be your true authentic self with EFT. It is simple, fast, and powerful. I’m also the founder of Radiant Meditation. I love having a daily meditation practice. However, over the years I've gone through times where sitting through a meditation just didn't feel possible. I've been too stressed, my mind too busy and all too often it can feel like wasting time. I know I'm not alone in these feelings, these are often the complaints I hear when I ask my friends, loved ones and clients about their own meditation practice. But, it's hard to ignore the phenomenal benefits of meditation. Personally, when I'm honoring my daily practice of meditation life feels easier and my days are filled with more grace and joy. Determined to find a meditation practice that's not only sustainable but enjoyable and sacred, I began playing around with using EFT, Emotional Freedom Technique (which is also known as Tapping). What I found is that meditation much more approachable when we calm the body and mind first. 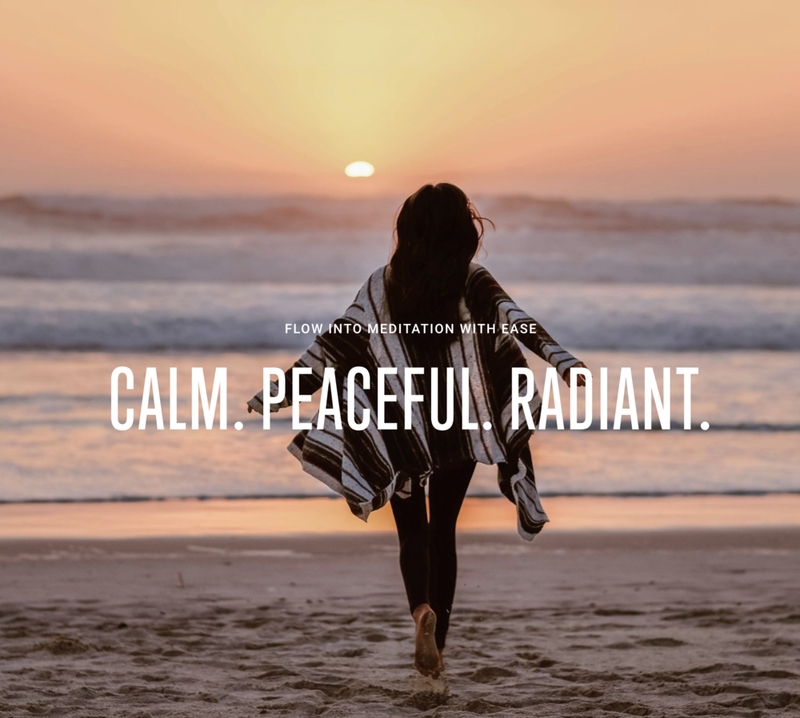 I began using this approach in my daily practice and then incorporating it with clients, friends and loved ones who were also needing a little help in their meditation practice... and what I found is remarkable.. well, actually Radiant! I am a Certified EFT Practitioner, a wife, and mother of two amazing daughters. I'm passionate about a holistic approach to health and wellness, and love learning new ways to live better. Traveling with my family is one of my favorite things to do, either exploring somewhere new or revisiting some of our most loved places.